To say that Mohammed Alfazari is an unsung hero would be misleading; a reviled hero might be a more apt description. Through his online magazine Muwatin, he is trying to create a voice for critical journalism in his home country, Oman. For his efforts, Alfazari has been arrested and harassed by the police and was forced to flee the country and seek asylum in the United Kingdom after having his passport and other forms of identity confiscated. Even so, Alfazari perseveres in his mission and continues to run the magazine from exile. While there are many who would call Alfazari’s efforts heroic, his fellow countrymen more commonly use another word to describe his endeavors: treason. His Twitter feed is dotted with ad hominem attacks for every time he retweets content produced by Muwatin, calling him ill-bred, saying that he fled the country “like a dog,” and some go so far as to wish divine retribution upon him and those who work with him. The magazine’s social media pages are similarly littered with accusations of writing baseless articles for personal gain and heated proclamations of treason. “The government controls everything citizens hear and believe,” he said in an interview with me. With the state having a hand not only on the media environment but on education at all levels, its influence on citizens’ minds is particularly strong, he explained, adding that it is this government monopoly on the dissemination of information that sets the Gulf countries apart from their neighbors in the Arab world. Amid Oman’s extraordinary grip on media and education, citizens there generally refuse to accept anything coming from outside sources, with exiled journalists and activists deemed “traitors working with foreign powers.” He has seen articles in the Omani press attacking him and other exiles, either indirectly or sometimes by name. Spurious rumors and attacks on their character circulate on social media, leading citizens to react to their work with hostility. The life of a journalist in exile is not an easy one, and it is only made more difficult when the public you are trying to inform is just as willing to name you an enemy as is the government that forced you out. Who Needs Freedom of Expression? According to Adel Marzooq, the president of the London-based Bahrain Press Association and a journalist who was forced into exile as a result of his coverage of the Arab Spring, there are several issues on which the citizenry and the government are aligned. Marzooq is also the editor-in-chief of the London-based online publication Gulf House for Studies and Publishing, which features in-depth reports from journalists and academics on a variety of subjects related to the Gulf. He notes that press freedom in the Gulf is not its own reward, rather is considered a tool to be used sparingly in the interest of achieving personal, material goals. For instance, complaints from students and parents about the UAE’s public education system received by members of the Federal National Council, the country’s parliamentary body, prompted the FNC to arrange a widely-covered meeting with minister of education, wherein its members offered frank critiques of the issues faced by students and teachers. The government has since made efforts to revamp the public education system. Not all critical voices receive the same consideration, however. The reaction to the writings of Emirati human rights activist and citizen journalist Ahmed Mansoor before his arrest last year are one example of the ire discussions of the more sensitive topics of human rights and free expression can draw from citizens. For instance, one post on his blog, in which he wrote about death threats sent to him by citizen groups, drew several comments much like this one: “You are a disgrace to the UAE and people like you don’t even deserve death because that’s the merciful way out.” He remains in custody, held in an unknown location. It is the disparity demonstrated by incidents like these that informs Marzooq’s assertion that freedom of expression is not a strongly embraced value among many Gulf citizens. 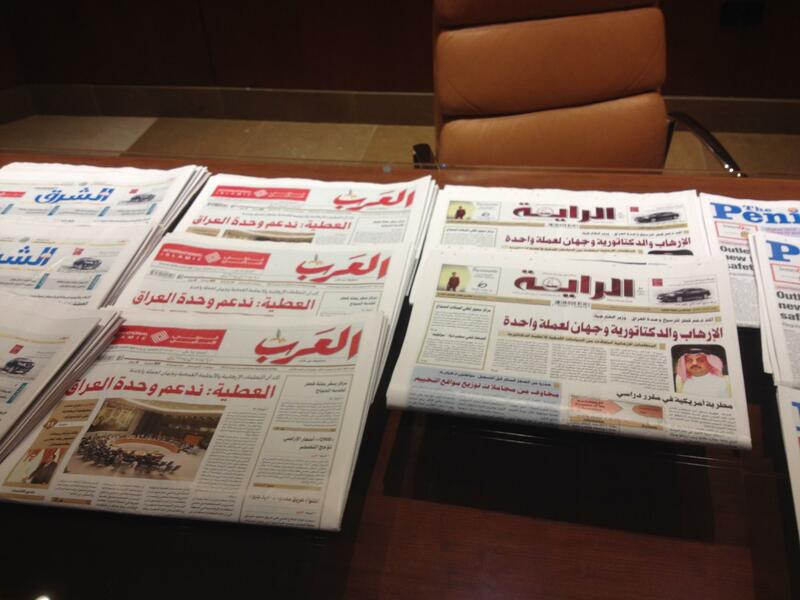 The combination of government censorship, an educational system that discourages watchdog-style reporting, and a conservative audience ensures that Omani media outlets conduct what Alfazari describes as “PR journalism,” whereby reporters take their cues from governmental and corporate press releases to produce a relatively uniform and largely positive narrative about the government’s achievements. Alfazari, who felt that the local press’ overwhelmingly positive coverage had little to do with the everyday reality of the ordinary Omani citizen, founded his magazine in 2013 with the firm belief that critical journalism is crucial to his country’s continued development. He was given a choice, he said, when he was arrested prior to his departure from Oman: either join them and reap the benefits, which he expected would include government funds and increased opportunities for advertising revenue; or stick to his principles. And so he left. Since then, he leads a lonely existence in London. His entire family, including his wife and two children, remain in Oman where they have faced harassment from authorities. His brother Mahmoud was arrested and held without charge for three weeks after Alfazari left the country. His wife and young children were stopped for questioning on multiple occasions at the border between Oman and the UAE, where they go to take a flight to London, and were prevented from leaving the country twice. The second instance, just last year, saw Omani authorities confiscating their passports, drawing the attention of several human rights organizations such as Amnesty International and Human Rights Watch. The situation has yet to be resolved, and his family has not been able to visit him since. Alfazari accepts his isolation as the natural consequence of his choice, however, and is determined to forge ahead with his work. Since moving to London, he started the Muwatin Café, a cultural salon featuring guest speakers including writers, poets and human rights defenders. He has also founded the Muwatin Center for Press Freedom, which is still in its nascent stage, though he hopes that it, along with the magazine and the café, form the foundation for a Muwatin Media Network. For now though, he funds his new projects out of his own pocket, taking on various freelance jobs to support them. Alfazari and Marzooq both pointed out the difficulty for independent news outlets to survive in the Gulf when they are cut off from government funding. Without financial support, many outlets are forced to either cave in to government demands or shut it all down. Alfazari notes that working with Muwatin involves a great deal of risk for local reporters: he can only afford to pay per published story while requiring a certain amount of training for his writers (as they generally lack experience in magazine-style storytelling), none of his writers can attach their real names to their stories for fear of repercussions and so do not benefit from bylines, and reporters face a good deal of trouble whenever they have to introduce themselves to sources as reporters for Muwatin, as simple association with Alfazari can draw the eyes of security forces and possibly lead to imprisonment. This last point was brought sharply to the fore in 2016, when Alfarazi had to shut Muwatin down after some of his contributors were arrested and harassed by security forces. The site reopened last year on World Press Freedom Day, at which point it was promptly blocked by the government in Oman. It has since become accessible in Oman through a new URL as part of Reporters Without Borders’ (RSF) Operation Collateral Freedom, a yearly endeavor marking World Day Against Cyber-Censorship (March 12) in which RSF restores access to independent media sites that are blocked in their own countries. Before this, the magazine found ways of circumventing the block by reposting the content of articles on social media and regularly sharing a PDF compilation of its latest publications. Despite the difficulties, which only increased after he started publishing from outside Oman, Alfazari is determined to keep the magazine and its founding principles alive. According to Marzooq, he is not alone in his struggle, and as more critical voices emerge, there is still a chance he may one day be remembered fondly for his pioneering heroism. Malak Monir is the current research intern at the Center for International Media Assistance.